Should I prepare for CAT or GATE entrance exam? How to prepare for CAT/MAT entrance exam? 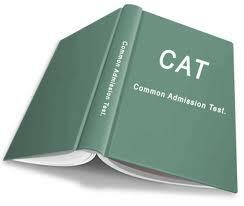 How should I prepare for CAT entrance exam? List of books considered good for preparation for MBA (IT)? How should I prepare for CAT entrance exam? What is the last date of sale of forms? How to prepare for CAT exam without coaching in short time? Re: How to prepare for CAT entrance exam? Not late anymore you still have good time to prepare for CAT 13, all you need is focused preparation. Please take it serious and prepare as CAT is exam is known for its toughness you need to be ready in all the possible ways. Ok as you asked us the previous papers I will attach them with my post download them and practice thoroughly. I actually don't have solutions for them. But many websites solve in their discussions so any doubt can be get cleared. Now here goes the question papers. I have uploaded from 1998 to 2007 after that CAT went online now it is conducted online and in 42 different slots we will have different difficulty levels. How ever with the help of normalization the results will be correct.